UPDATED: Fri., June 29, 2018, 6:47 p.m. The city may have imperiled a $1 million back taxes settlement agreement with Tracfone, a private company selling prepaid phone service, by discussing the deal in an open public meeting after agreeing to keep talks private. The agreement included a 12 percent interest payment and other penalties, City Attorney Mike Ormsby told members of the Spokane City Council at a June 18 meeting. Ormsby also named the company in response to a direct question from Spokane City Councilwoman Candace Mumm, even though the city had signed a nondisclosure agreement with Tracfone. “Who did not pay their taxes?” Mumm asked in the meeting. “It’s Tracfone. I’ve never even heard of them,” Ormsby responded. “The burners?” City Council President Ben Stuckart asked, using the slang phrase for phones that are purchased with minute plans that can be renewed or discarded. Brian Coddington, a spokesman for the city, acknowledged that the disclosure could endanger receipt of the money. Multiple messages sent to the corporate offices of Tracfone were not returned this week. Ormsby said the nondisclosure agreement was signed before he was named city attorney in May 2017. He also said he wasn’t aware of it when addressing council members. Mumm said she asked the question at the meeting because she wanted the council to be able to continue tracking compliance with the settlement agreement. The city says Tracfone has agreed to continue to pay monthly installments of its required utility tax payments, estimated at between $20,000 and $25,000. “I don’t mind saying the name. The company didn’t pay their taxes,” Mumm said in an interview this week. She was also unaware of the nondisclosure agreement. Utility tax receipts from all sources totaled about $60 million to the city in 2016, the most recent year for which financial statements are available. They account for about 30 percent of the city’s total amount of taxes collected. Ormsby told members that Tracfone had “a very unique argument” contesting their need to pay, which was countered by the city’s legal and financial teams. The agreement was signed by Tim Dunivant, director of finance for the city who announced his retirement from the city earlier this month. “This may be the first time they’ve ever agreed to pay it,” Ormsby told council members. This isn’t the first time the company Tracfone has challenged their requirement to pay local taxes, however. In 2010, the Washington state Supreme Court heard arguments from the company that the state’s 911 excise tax paying for emergency communications did not apply to their service. The company argued in that case that, because it sold minutes in pre-packaged amounts, it couldn’t prove that its service was being provided to users primarily calling within Washington state. 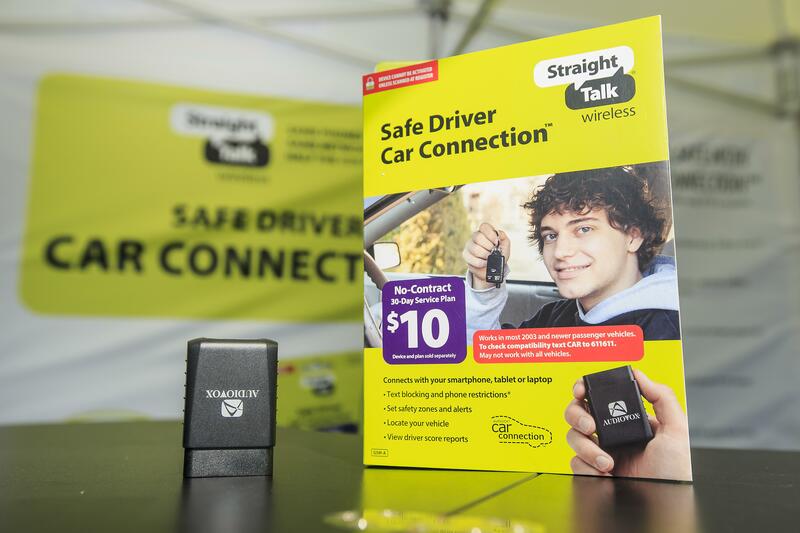 The court unanimously ruled against the company, which operates services under trade names that include Straight Talk and Walmart Family Wireless by reselling service offered by major networks. The company reported in testimony to the Federal Communications Commission earlier this year that it had 23.7 million subscribers nationwide. The city released the settlement agreement in response to a records request from The Spokesman-Review that included the Tracfone name last week. They then provided an amended release Tuesday redacting the company’s name, citing a provision in the state’s public records law that exempts the identity, earnings and tax liabilities of taxpayers from release. The city clerk’s office requested The Spokesman-Review “please destroy and do not publish or disseminate that version” including the company’s name. Greg Overstreet, an attorney who previously served as the special assistant attorney general for Washington state on governmental accountability, said an argument could be made that the exemption didn’t apply because Tracfone hadn’t paid their taxes. “That might be a legitimate withholding, but I think the city waived it by identifying the taxpayer’s name in public,” Overstreet said in an email. The settlement agreement did not contain a confidentiality clause, a provision that got the city in hot water in 2012 when it signed a deal with a chemical supplier over the use of an herbicide at the city’s landfills. The nondisclosure agreement was signed at the outset of talks, while a confidentiality clause generally bars the parties in the agreement from divulging details of the agreement and who is involved. The state’s public records law, however, requires disclosure of certain documents when requested, potentially overruling such clauses. “We don’t sign those anymore,” said Ormsby, referring to contracts that contain such confidentiality clauses. The city will receive about $697,000 of the settlement, with the rest going to the contracted auditing firm for receipt of the back taxes. Mumm said she’s working on an ordinance that would put the city’s share of the money into reserve accounts. Ormsby said there are two additional firms from which the city is seeking tax payments. But he wouldn’t name them at the meeting. Published: June 29, 2018, 5 p.m. Updated: June 29, 2018, 6:47 p.m.